Learn how to make Nutrient Rich Instant Pot Bone Broth Recipe (Pressure Cooker Bone Broth). Enjoy the health benefits with this super easy, hands-off, economical way to make bone broth without simmering for hours on the stove!! Perfect for consuming directly or culinary use. 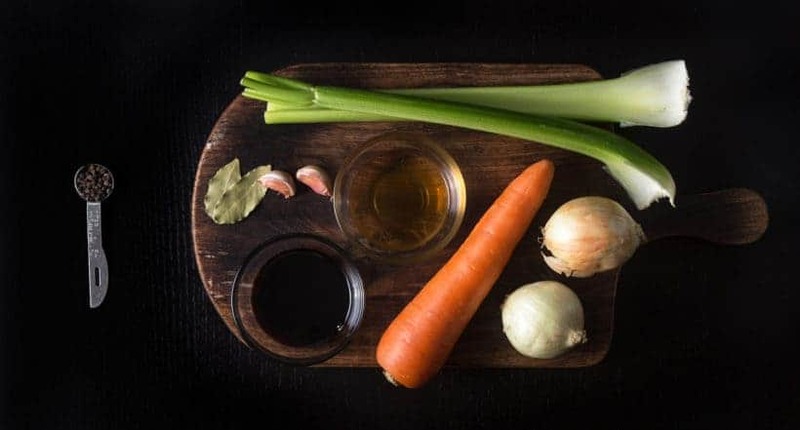 Bone broth has gained rapid popularity in North America in recent years due to the health benefits it brings. But bone broth is hardly a new invention around the world! In fact, it has been a way of life and a core part of Cantonese cuisine since the ancient years. Cantonese mamas often pride themselves for their homemade, nourishing & delicious broths/soups. A sip of mom’s soup is like a warm comforting hug on a cold day! Bid farewell to store-bought Bone Broth and make your own at home!! Bone Broth is made by simmering animal bones, meat, vegetables, herbs with water. It’s normally simmered for hours and hours on the stove to extract the flavor and nutrients. Why is Bone Broth Good for Us? How to Cut the Vegetables? Before we jump into our Pressure Cooker Bone Broth Experiment, we’d like to first decide how are we cutting the veggies? Does it matter? 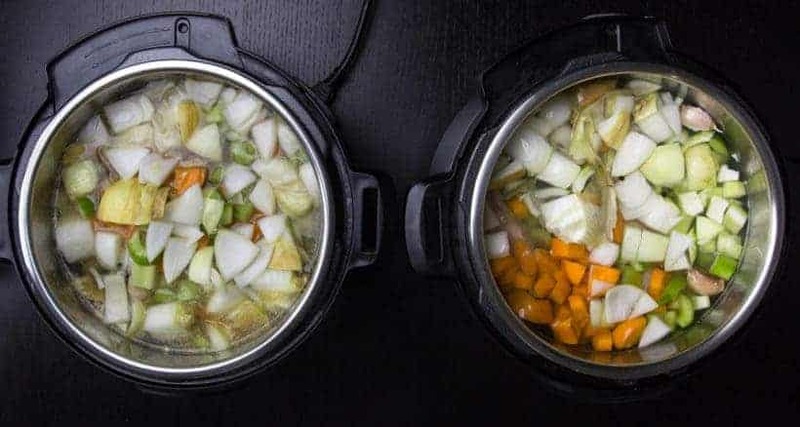 In our previous experiment for Instant Pot Vegetable Stock, we tested to see if the 2 vegetables cutting methods – Roughly Diced vs. Halved – will yield different results. If so, how? And which one is better? We concluded that the “Roughly Diced” version turned out to taste better (more balanced flavor) with a nicer color. What we look for in a great pot of bone broth? We conducted 10+ tests with the same ingredients using Sauteed vs. Non-Sauteed Bones & different cooking times in our Instant Pot Electric Pressure Cooker. Our bone broth evaluation is based on 3 factors: Flavors, Color, and Gelatinous Level after chilling in the fridge. Longer pressure cooking time doesn’t always mean the bone broth will turn out better or tastes better. 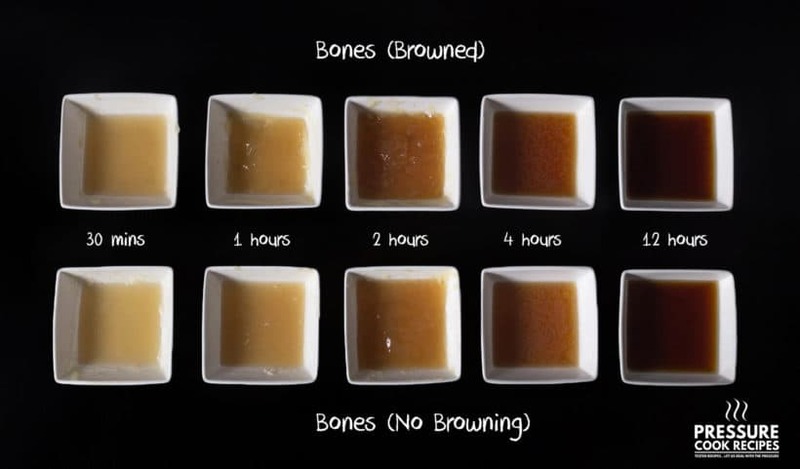 Sauteed bones always produce a richer taste & darker broth color than the Non-Sauteed versions. 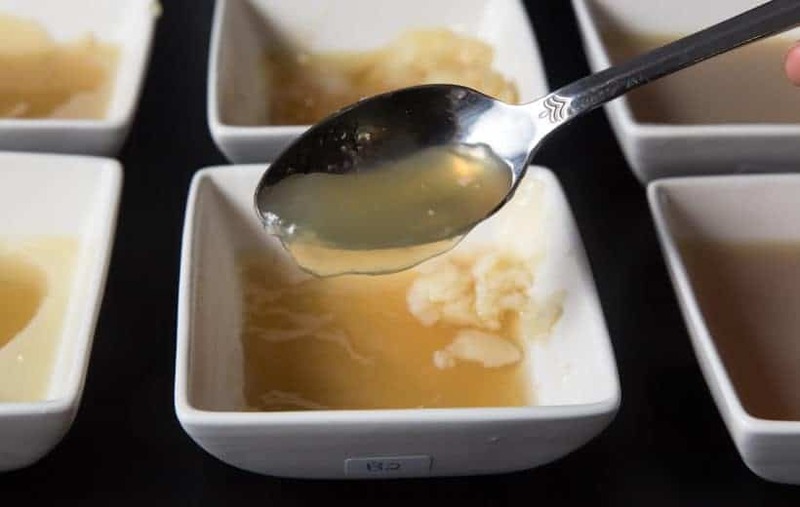 Weighing the three factors, our desired result in pressure cooking bone broth is Test #5. It produced the best overall flavor, gelatinous texture, and color. Super easy & inexpensive to make! Add 1 tablespoon (15ml) olive oil in the pot and brown the bones for 3.5 minutes per side. *Note: You may have to do it in two batches. Pour in ½ cup (125ml) cold water and completely deglaze the pot by scrubbing all flavorful brown bits with a wooden spoon. Add 5 – 6 (212g) chicken feet (optional) and the rest of the ingredients in the pressure cooker. *Pro Tip: Even though it’s optional, the nutrient-packed chicken feet is a key component to making a rich and gelatinous bone broth! Strain bone broth through a colander or mesh strainer to discard the solids. Set aside the bone broth to cool. Place bone broth in the fridge until the fat rises to the top and form a layer of gel. Then, skim the layer of fat with a spoon. 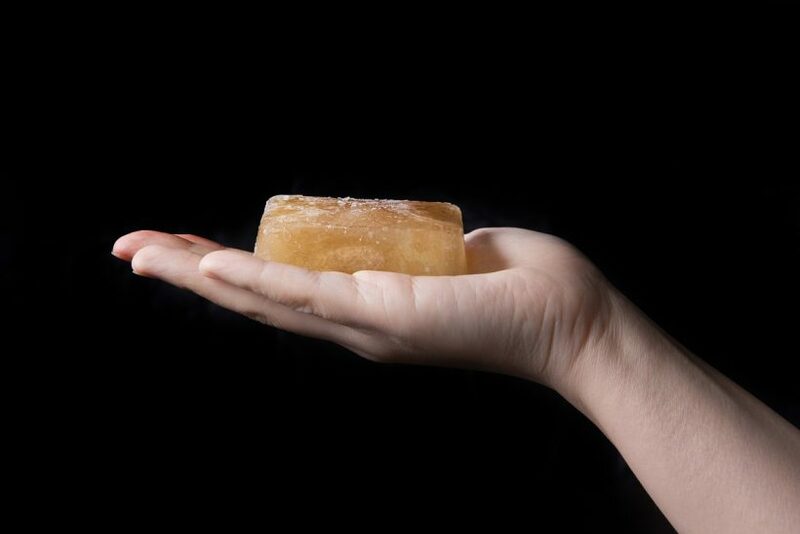 *Pro Tip: A gel-like texture after cooling is a good indicator of an excellent gelatinous bone broth. Season with salt (if desired) and drink it directly. Or you can use the Bone Broth in place of stock. Chill in Fridge: You can store the bone broth in the fridge for 3 – 5 days. Freezing Bone Broth: If you are freezing the bone broth, use within a year for best quality. 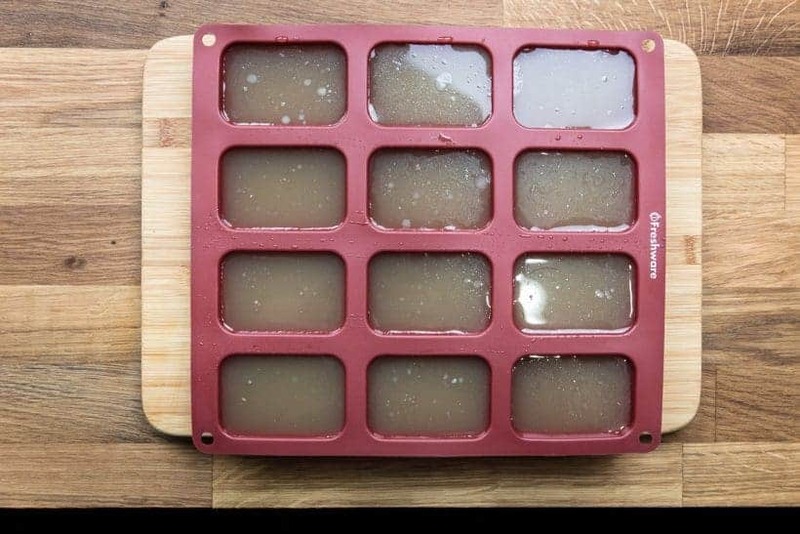 We love using this Silicone mold for freezing our broth or stocks. You can use it for baking too! We put it in the freezer as shown in the picture above. After they freeze in the mold, they pop out very easily (as shown in the picture below). Then, we store them in ziploc freezer bags. 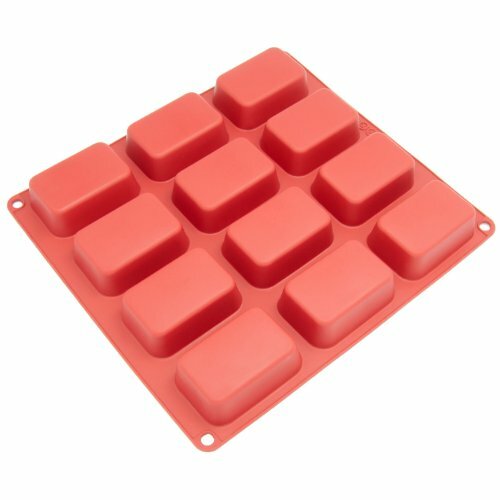 How to transfer the mold to freezer: to make things easier, we like to put this Silicone Mold on top of a baking sheet, pour the broth or stock into the mold, then place the baking sheet with the mold in the freezer. Learn how to make Nutrient Rich Instant Pot Bone Broth Recipe (Pressure Cooker Bone Broth) from our 10+ Experiments! Super easy without simmering for hours. 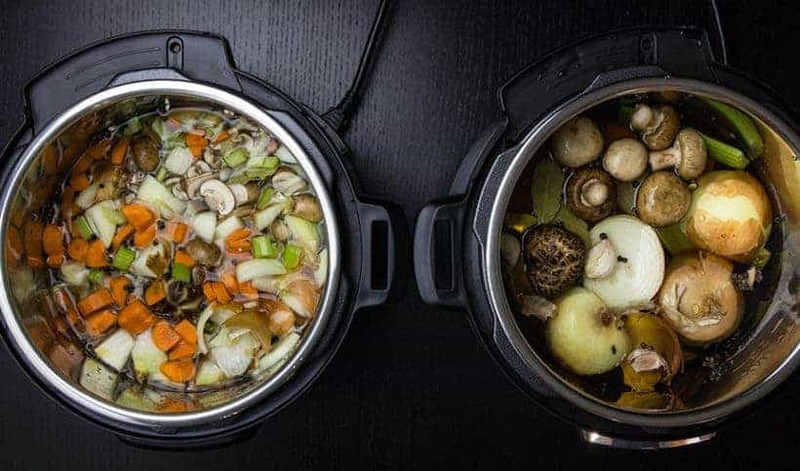 Optional Step to Enhance the Bone Broth: Heat up your pressure cooker over medium high heat (Instant Pot: press Sauté button and click the Adjust button to go to Sauté More function). Make sure your pot is as hot as it can be (Instant Pot: wait until the indicator says HOT). Add 1 tablespoon (15ml) olive oil in the pot and brown the bones for 3.5 minutes per side. You may have to do it in two batches. Pour in ½ cup (125ml) cold water and completely deglaze the pot by scrubbing all flavorful brown bits with a wooden spoon. Pressure Cook Bone Broth: Add 5 - 6 (212g) chicken feet (optional) and the rest of the ingredients in the pressure cooker. Close lid and pressure cook at High pressure for 2 hours + Full Natural Release (~45 mins). Open the lid carefully. 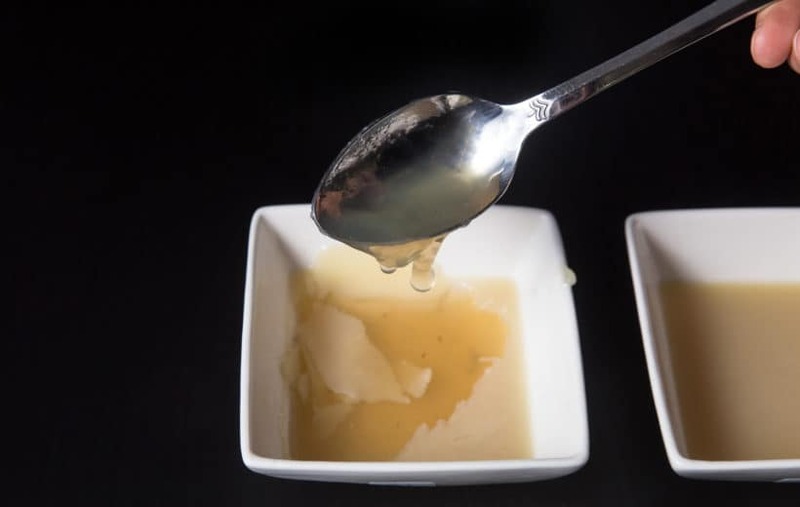 Strain Bone Broth: Strain bone broth through a colander or mesh strainer to discard the solids. Set aside the bone broth to cool. 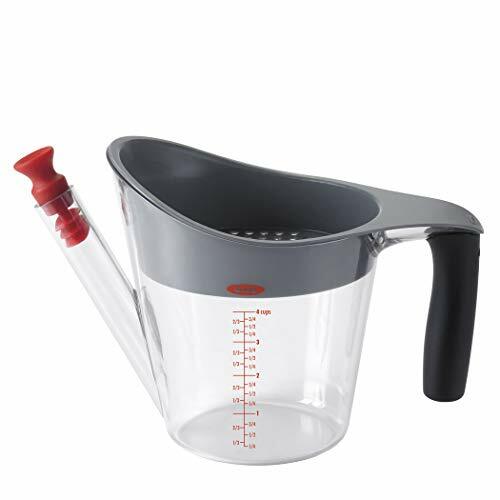 Skim Fat: Use a fat separator to skim the fat. 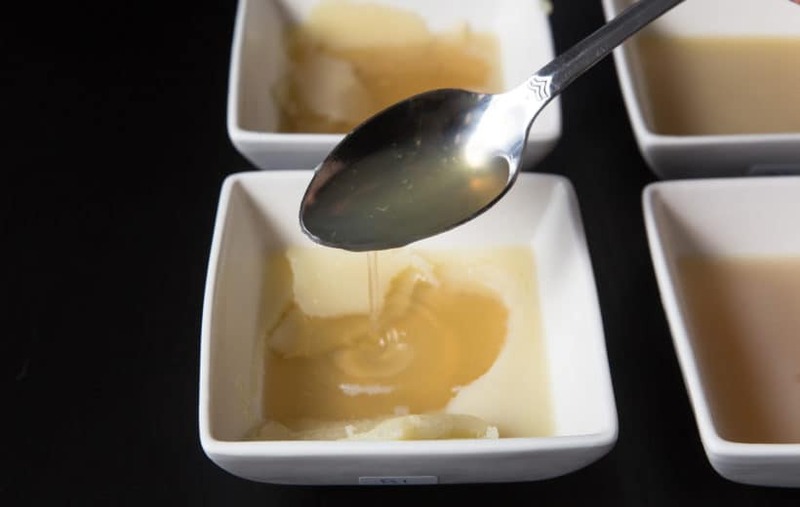 An alternative method is to place bone broth in the fridge until the fat rises to the top and form a layer of gel. Then, skim the layer of fat with a spoon. A gel-like texture after cooling is a good indicator of an excellent gelatinous bone broth. Enjoy Bone Broth: Season with salt (if desired) and drink it directly. Or you can use the Bone Broth in place of stock. Storage: Bone broth can be stored in the fridge for 3 - 5 days. If you are freezing the bone broth, use within a year for best quality. Thank you so much! I’m making this for a friend who is battling cancer. Your research has saved me so much time!! Thank you for doing this for your friend. You are so kind and I hope your friend will get well soon!! Thank you for taking the time to develop the wonderful details & recommendations in your cooking. I find these very interesting! My family & I love our pressure cooker & look forward to being on your mailing list. Hi there! I definitely want to try this recipe, I was just curious if you use a 6 qt instant pot? I have a 3 qt one and wondered if I decrease the cook time as I’ll probably have to half the recipe. Thank you for your question. Skimming the fat will make the bone broth less oily. Question… the nutritional information is great that it’s listed but I can’t seem to find anywhere that clarifies what serving size it is based on, could you please clarify? Thank you so much for your kind words. It is based on a 1 cup serving. I was wondering if you peeled the chicken feet first before adding them? Or how you prepped the chicken feet before cooking with them. Thank you for your question. This is an optional step, but you can parboil them in boiling water for 1 – 2 minutes first. I have made this twice and both times it has been great!! comes up, it’s the first one I always go to! I followed this recipe but used beef bones under pressure for 3:45. My broth is rich and tasty but it did not gel at all. 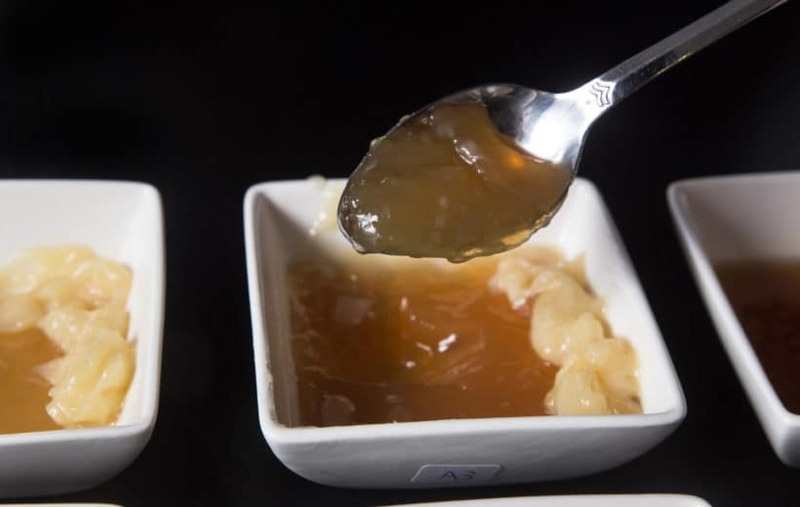 Will beef broth gel like chicken? Is there something like chicken feet that you’d add to the beef broth to get more collagen in it? Thank you for your question. Chicken feet have a very high amount of collagen. I recommend adding a few in the beef bones broth! Food allergies so want to make fish bone broth only and new to Insant Pot. What adjustments do you suggest to the ingredients? Love your site! Thank you for your question. I love using salmon bones and head for fish bone broth. Add in some tomatoes, potatoes, onions, garlic to make it a full blown soup. Hi! I’m curious what you mean by leaving on the outer skins on the onion. Do you mean the dry skin or just the green but barely edible parts of the onion? Thank you for your question. It’s the dry skin as well. What fresh or dried herbs did you try? Thank you, thank you, thank you!!! made test#5 yesterday, and for the first time my chicken broth gelled so well!!! Was wondering if smoked ham hock bones would be a good choice, or would it overpower the chicken. The bone broth will taste quite smokey. If you like it that way, it is delicious as well. My sister questioned if pressure cooker bone broth is as healthy as crock pot bone broth. It is as healthy as crock pot bone broth as everything get locked in. Would you be able to help my broth? I find I like the taste best after 48 hours but I want all the best nutrition I can get!!! The bitterness most likely came from the vegetables. If you would like to cook the bones for several days in a slow cooker, I would recommend adding the vegetables later. Hi, I was wondering, does the addition of the vinegar make the bone broth taste sour? I also bought chicken wings (I could not find chicken feet), I can just put the raw chicken wings into the pot without having to first put it in boiled water to remove any scum? 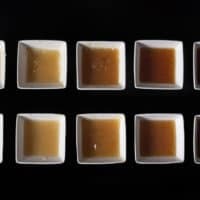 The small amount of vinegar will not make the bone broth tasting sour. For the raw chicken wings, you can boil them first to remove any scum or remove the scum after you have finished pressure cooking (It will be a bit more flavorful). I have some chicken backs and feet left over from my latest batch of bone broth and need more for a second batch but my butcher shop isn’t open during the week. Is it OK to use beef bones to combine with the chicken? If so, how long should I cook them? Thank you!! It will taste different, but it will work. I will still cook it for 2 – 3 hours. I like that it is fast in the IP and in 5 hours I can have bone broth! I have just discovered you site, I am very excited to try your recipes! In my opinion, the optimized cooking time for nutritional benefit and taste-wise will be 2 – 4 hours. Hope I’m not too late for feedback… Traditional recipes say to cover the bones, but I have large beef bones and am wondering given the 2/3 full rule of the IP if the bones stick up out of the water a bit will that matter? Thanks for a great recipe, testing, and feedback. Never too late 🙂 Thank you for your question. It is fine as it will only make a slight difference to the broth. I am new to broth maker and looking for an easy way (pardon my laziness) to get a good healthy broth. In many other conventional recipes with gas stoves, I saw that they firsf preboiled the bones first for 1 hour, throw away the dirt/black foam from the broth. How can we do it with Instant Pot then? Does it really necessary? Thank you. Parboiling is an optional step as the foam is mostly just protein. You can also use the saute more function to parboil first and then pressure cook after with the Instant Pot. Hello and thank you for your testing in making Bone Broth. Can you use bone marrow bones that are readily available in the grocery store? I’ve seen multiple recipes that list cooking times for slow simmered bone broths as beef – 48 hours, chicken – 24 hours, and fish – 8 hours. I’ve done poultry bone broth in a pressure cooker for 2 hours and it turned out great. I wonder if beef or fish bone broth should be pressure cooked a proportionate amount of time? (ie beef -48 hours, and fish – 40 minutes) I’d love to see a similar experiment using these other bones. (hint, hint!) Awesome work by the way, best info on the subject I’ve seen!! 3 – 4 hours for beef bone broth sounds about right. Fish bone broth should only take roughly 15 minutes + Natural release. Make sure to add some ginger to remove some of the fishy smell. When one of your recipes calls for chicken stock, can you use this? Do I have to make beef bone broth with beef bones when a recipe calls for beef stock? what about if a recipe calls for beef or chicken broth? Do I then dilute the bone broth? 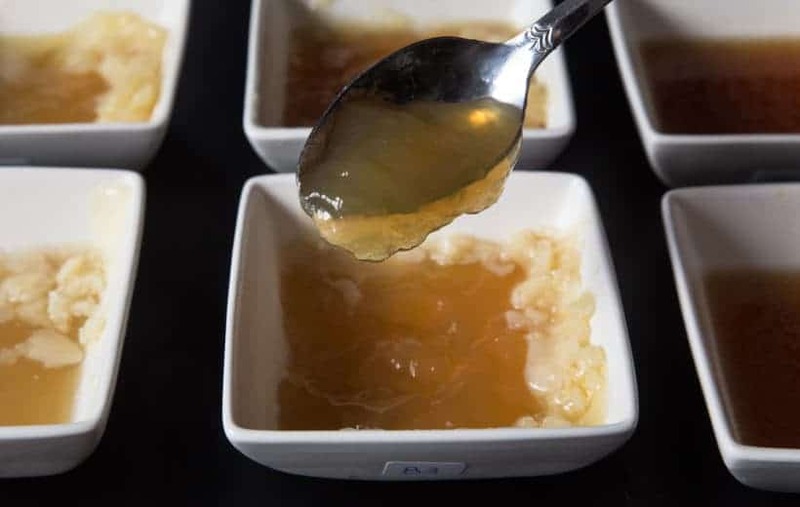 Does the gelatinous bone broth turn to liquid when you heat it? Thank you for taking time to answer as I’m a new user of instant pot & have never made bone broth before. You can use this when a recipe calls for chicken stock. Make sure not to add any salt into the broth. Beef bone broth will require beef bones. You can also use the beef bone broth if a recipe calls for beef stock. You will not have to dilute the bone broth and the gelatinous bone broth will turn to liquid once heated. After freezing the bone broth, when you take out to use are you using it straight or adding water? I made broth with ham hocks, froze it then I used it straight for split pea soup. Should I have diluted? The soup was great. Thanks in advance, I love your site! Both ways will work. You can use it straight for soup or dilute it if you want a more mild taste. I used 5 lbs of beef bones with marrow from a butcher shop and preroasted them before they went into my IP with veggies. I ran them through the process 2 times. I have a layer of fat, and the broth is thick but not gelatinous. I followed the directions. Any ideas of what I may have missed. It tastes good, but I would like it thick like your picture! You will need some bones from the knuckle area. I would add some chicken feet in. I love all the testing that you do, so thank you for that. I have a question about the chicken feet. How the heck do you clean them enough to know you aren’t submerging all the “stuff” they were walking on before their feet came off to be processed. I can get chicken feet…just don’t want the “extra” stuff. LOL. How many would you add to a pot of a mix of bones? You can soak the chicken feet in water or parboil them first. If I were do make a batch of broth close to bedtime (and not want to mess with straining, etc. before I went to bed) do you think it would affect the quality or safety of the broth if I left it on the keep warm setting until the morning and then finished things up? We haven’t tried it, but I think it will look very similar to our test #7 and #8. In general, you don’t want to leave food out for more than 4 hours even on keep warm mode. Question, at the end of step 1 do you leave the bones in the IP, or remove them and just use the chicken feet to finish? Very nice trial-based write up! Very appreciated. The nutrition facts on the bottom though, what exactly is the portion size? Happy New Year & Have a great week! Thanks so much for this! How do you feel about pressure canning the broth? thank you for your kind words. Pressure canning the broth is fine, but you will need to use a proper pressure canner. Hi, thanks for doing this experiment! Just wondering, why all the N/As for the chilling results with the longer cooking times? Did these broths not gel at all, or did you not chill them? I don’t recall what happened. I think We have chilled the #7 & #8 and they were gelatinous like #5 & #6. We didn’t chill the #9 & #10 as they didn’t really taste all that great hehe! Thank you for putting this recipe, there’s so much data to take in. I’m about to try out your recipe today. I do have questions. Would roasting the bones in an oven for an hour create a broth similar taste and texture as sautéing them? Do you thinking roasting the vegetables along with the bones would be a good idea? We actually prefer roasting in the oven as it intensifies & concentrates the flavor better than sautéing. Roasting the bones and vegetables together will be a great idea if you want complex flavor for your bone broth! Thank you for the information! It really taught me a lot. But the thing is.. I already cooked my chicken bone broth in pressure cooker for 18 hours, not knowing the differences btw slow cooker and pressure cooker. Now.. what should I do? Should I drain it away? The soup tastes a bit sour(it used to be bit sour when I cooked it on a slow cooker tho) but overall, it doesn’t taste bad. I’m worried, as in #9, my stock has gone bad.. Thank you again for enlightening me for the precious info! If you can stand the taste, it will still be fine to drink. You can also dilute it a bit and use it as chicken stock in recipes. What size IP does this recipe use? Will it work in a 6 qt pot? My old-fashion way is similar to cooking dried beans (after a good 400’F oven roast of the meaty bones with marrow (umami) with vegetables. Bring to a boil slowly and skim (45 minues), completely cover and rest for 1/2 to 1 hour; do it again; do it again 3rd time; once more; cool and leave overnight in the ‘fridge. Scrape away & discard most of the top hardened fat –leaving some for flavor and “finish” for taste. Re-boil, remove all solids to a colendar in a stainless bowl, to reuse the drippings. Discard or use one more time for a thinner broth to reduce and add. However, I add Kitchen Boquet for color & taste. Then I later add golden sauted sweet onions (rather than package/Spanish Onions) sliced in half and rather thick (1/4 inch). I let the onions marinade in the broth “reduction” for a couple of hours to overnight. Then I use crushed garlic toasted on good french bread slices that incorporate various swiss cheeses and other softer cheeses to incorporate and balance. I too like a couple of Bay Leaves in the original stock, as well as chicken parts/bones & feet when available. Pork or veal feet also provides plenty of gelatin and flavor; marrow in sliced bones or split bones improve the product. THAT IS WHY THE FOS (French Onion Soup) IS EXPENSIVE IN A GOURMET RESTAURANT. thank you so much for your comment and sharing your cooking experience with us! I bought an Instant Pot because I wanted to make a good, faster bone broth. It was the very first thing I made with my new Instant Pot. I was so nervous trying to figure out if I was using the pot correctly, and what exactly Natural Release entailed. But I just let pot sit after the 2 hours until the silver thingie dropped (took about 1.5 hours to drop). Result was AMAZING flavorful broth!! Bones that crumbled to the touch and it didn’t take me 24 hours in a crockpot to do it. I am SOOOOO excited! Thank you for this easy to follow recipe. I am now an Instant Pot fan!! After cooking, straining and separating the fat how many cups of broth are you left with? About 8 cups will be left. This is very informative…thank you! Are there certain bones that are more nutrient rich than others? 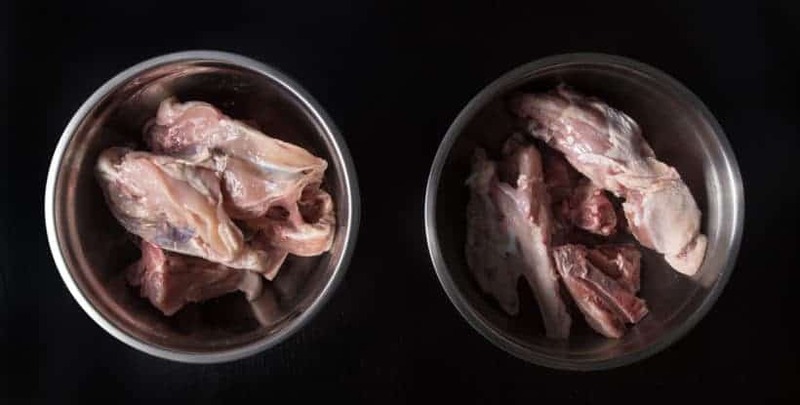 Many comments have said they use rotisserie chicken bones…where is the best place to get bones? High quality bones (What the animal eat can be important) are important if you are looking for more nutrients. A butcher shop is a good place to get bones as they will usually have some in the freezer. You can also use leftover bones from dinner! Thank you for the awesome instructions and beautiful pictures. In the picture of the bones you used, there is quite a bit of meat on them. Did you leave the meat on the bones to make the bone broth? The meat can go into the bone broth as well. Can I use frozen chicken parts? I have a bag in freezer and wonder if timing is the same. 2 hrs in InstantPot. Frozen chicken parts will work well. Hi, first off I love your recipes! I was wondering if you could use the left over bones from the Thanksgiving turkey to make this, or does it have to be raw? Leftover bones are fine. You will need slightly more. Thank you for sharing this recipe. It was the best bone broth I have ever made. I used the carcass from a Costco rotisserie chicken and skipped the fresh herbs. I used 1 tbsp soy and 1 tbsp fish sauce. I then used the broth for your congee and a chicken tortilla soup. Both results were phenomenal. Thank you! How about a recipe for beef broth? You can substitute the pork bones with beef bones! I have a 10qt pot for meats and graveys, and I am thinking of getting a 4qt or a 6qt to cook side dishes and vegs. Your commets. I personally will always choose the bigger one. This is so cool, thank you for sharing. I love drinking bone broth but don’t know how to make one. I hope I can cook your recipe one of these days. I’m now drinking Au Bon Broth and so far it’s the best for me. I love its taste like it’s home made and that it’s organic. I see the nutritional information for a “serving.” What is the size of this serving? 1/2 cup bone broth? Also, this is pretty much the ingredient list for making stock in my family (minus the apple cider vinegar). What is the difference between bone broth and stock? Just something I’ve been curious about….. Yes it is 1/2 cup of bone broth. Stock and bone broth is extremely similar. The major difference is the additional seasoning & apple cider vinegar to extract more nutrients from the bones. I also add apple cider vinegar to my stock so I would say the major difference is the additional seasoning. Are you able to reuse the bones or do you throw them out? The bones will be mostly tasteless by then. We sometimes dip the meat with some light soy sauce and eat them for snack. The recipe mentions “your favorite herbs” – can you give some recommendations for good ones or combos to use? We usually add rosemary and thymes. Great post. I love that you did this! After years and years of broth, the IP was the first time I got gelatinous bone broth. I have chronic health issues so can only do so much in the kitchen, so I make bone broth with Whole Foods rotisserie chicken, skin/bones/little bit of meat, and pre-cut veggies. I did 90 min, but I’ll bump it up to 2 hours. Thanks for the advice on dicing. Wow, you rock! I’ve wondered about all the various things you in liked in your testing – now I know! Thank you!!! Thank you for your ‘experimentation’. Take care & Have an awesome day! Do you have to do any prep work on the chicken feet or just put them in the pot as is? Chicken feet from stores are usually pretty clean. An optional step is to declaw them. In your bone broth recipe you use both bones and chicken feet. Are the bones beef bones or chicken bones? I appreciate your experimental methods to find the best way to do something.